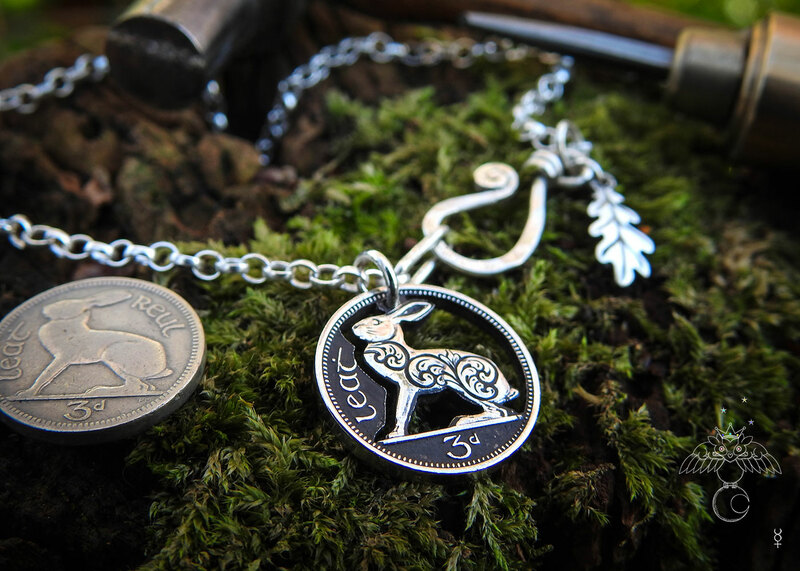 Irish hare coin necklace - Hairy Growler - Flourishing hare. TIrish hare coin - transformed with traditional hand tools and techniques. A fabulous selection of handmade jewellery, coin pendants created from old coins.